Alcatel Alenia Space announced in April 2006 that it has signed a contract to build a new powerful telecommunications satellite for the U.S. operator SES AMERICOM, an SES GLOBAL company (Luxembourg and Paris Euronext exchanges: SESG). 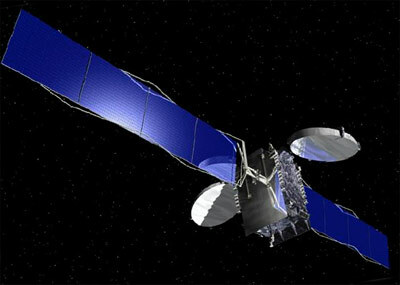 Beginning in mid-2008, the AMC-21 satellite will transmit programming to PBS (Public Broadcasting Service) affiliated television stations throughout the Continental United States (CONUS), Alaska, Hawaii and Caribbean regions, expand occasional resources for broadcasters, and support enterprise communications networks. As prime contractor, Alcatel Alenia Space will have overall responsibility for the implementation of the AMC-21 program, being in charge of the design, manufacturing, test and delivery on the ground of the AMC-21 satellite, along with Launch and Early Operations Phase (LEOP), In-Orbit Test (IOT) support and associated services. Alcatel Alenia Space will also provide the communications payload. Orbital Sciences Corporation (Orbital), as a subcontractor of Alcatel Alenia Space, will provide its small sized GEO spacecraft platform, Star-2. Alcatel Alenia Space will be responsible for integrating the Orbital bus into the fully assembled satellite. AMC-21 will be fitted with 24 Ku-band transponders, each 36 MHz in bandwidth and will have an operational life time exceeding 16 years. Weighing about 2,500 kilograms at launch and having 6 kW of electrical power, it will operate from 125°West longitude.